Shipping Dimensions: 12" x 12" x 3"
Includes string art glaze, inflatable star, crafting gloves, metallic and glow string, a 20 LED light string and batteries. 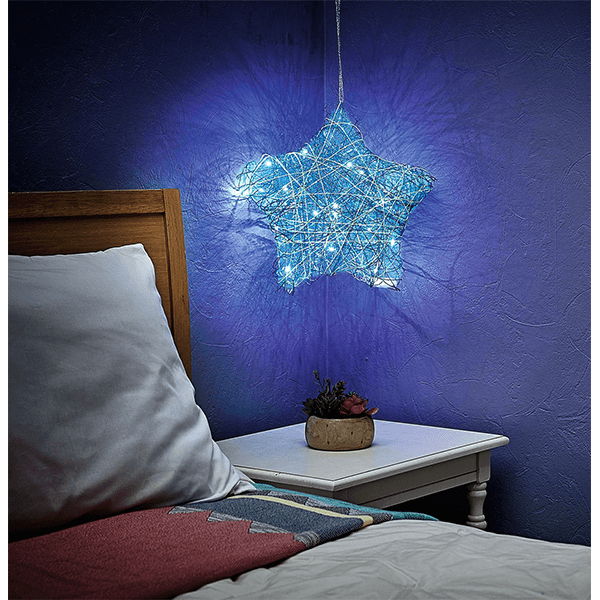 With glow-in-the-dark metallic string and a string of 20 LED lights, children can decorate a shining star lantern to hang from their walls or ceiling. Follow the included instructions or make a gently glowing design of your own! This string art kit lets children use their fine motor skills to place and wrap strings to create colorful designs. The kit lets kids use their creativity to complete the included designs or create their own. Finished stars can be hung as decorations, providing children with a boost in self-esteem. 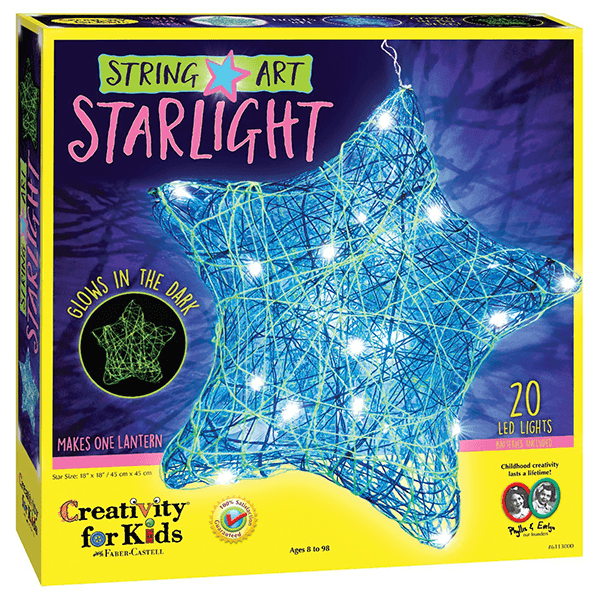 Finished star measures 18" x 18"
If You Liked Creativity for Kids String Art Starlight Kit, See More Related Products Below!